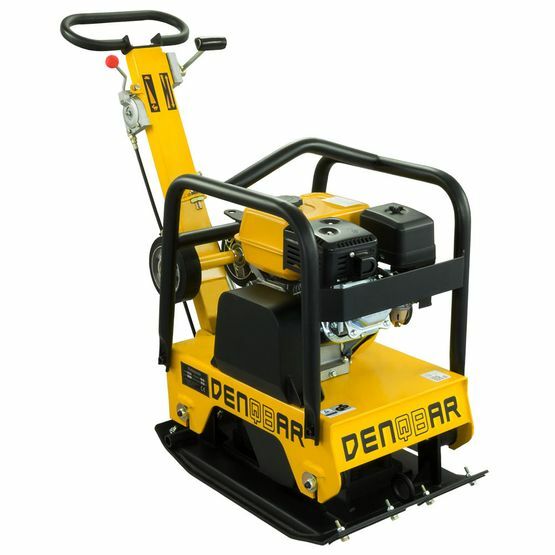 The DENQBAR plate compactor DQ-0216 is highly qualified for demanding compaction work of all kinds. 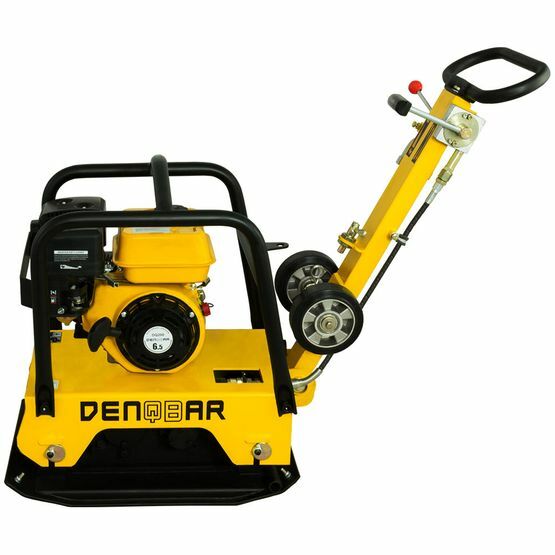 Whether it is for soil, asphalt and composite paving work as well as trench, canal and foundation construction or horticulture and landscaping: With this model, you are always well equipped. 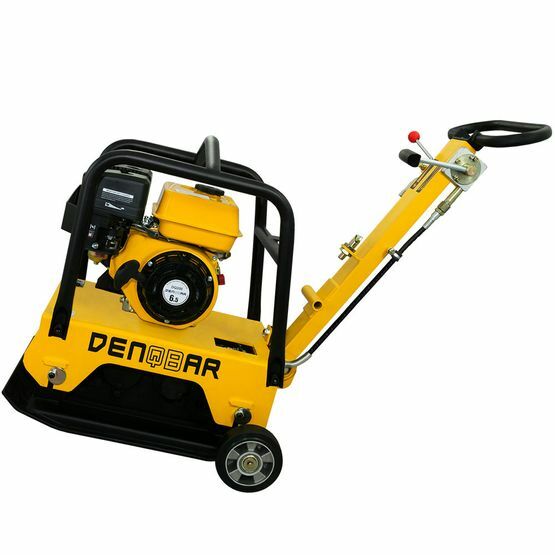 Datasheet of the DENQBAR DQ-0216 plate compactor to download. All plate compactors at a glance. For levelling laid paving stones, a paving pad is necessary as it avoids scratches, flaking of material and other similar problems. Just put it between plate and surface. The abrasion-resistant and dimensionally stable DENQBAR paving pads are the best solution! Top of the line, we enclose a free polyurethane mat to the delivery! With this set you have smartly saved and are able to start working immediately. Furthermore, the installation of the paving pad is very simple as the plate compactor already provides the accurate boreholes and includes the necessary fixing material in delivery. You just have to move the machine onto the pre-drilled paving pad and then fix it with nuts and screws. 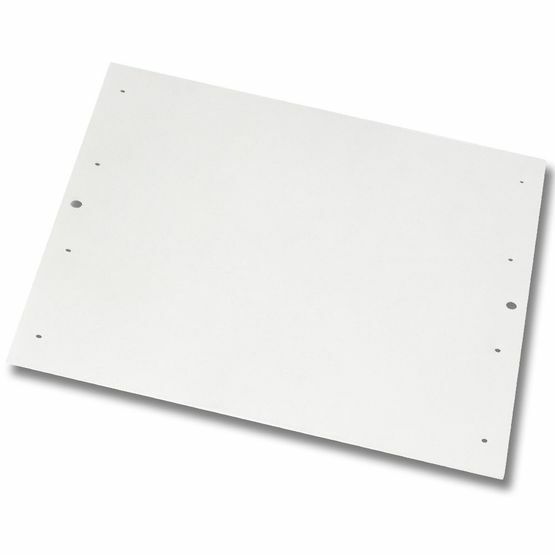 By definition, a reversible plate compactor is capable of going forward and backward. Reversibility eases changing the driving direction and therefore it provides a simpler handling for the user. Just use the guide lever on the handle grip at DENQBAR plate compactors. Especially when using heavy plate compactors (models over 130 kg) and in confined spaces (eg in sewers, ditches and track construction, reversibility is the key. A reversible plate compactor also facilitates stationary compaction, with which even the hardest soil conditions can be handled. Whether it is during the transport or on site, damages can quickly happen! 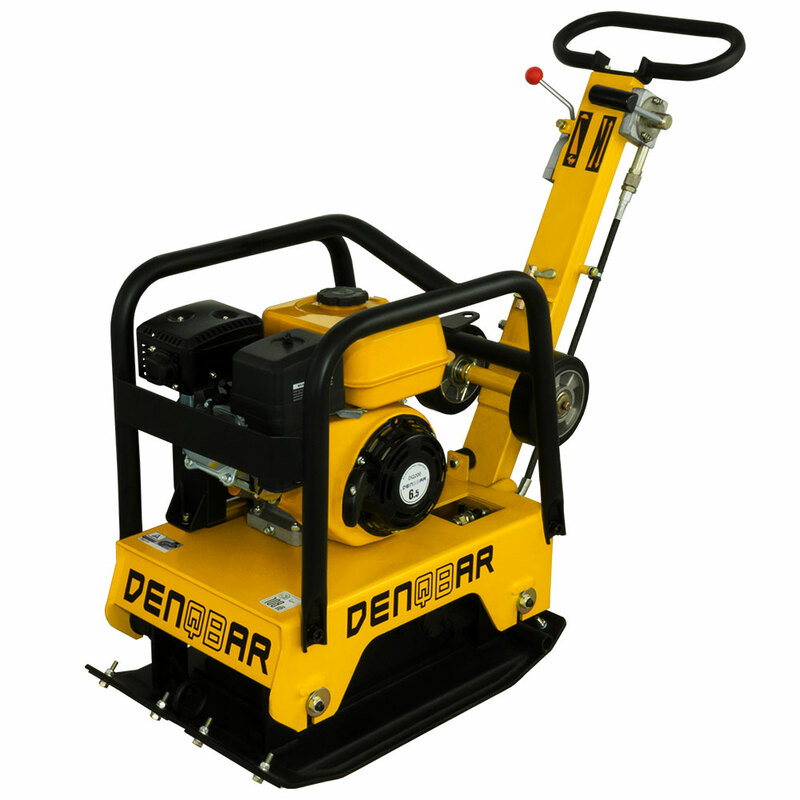 Therefore, all plate compactors by DENQBAR are equipped with a robust protection frame. Protecting the important parts of the machine, as the engine block, it increases the service life of the plate compactors. As well there is another advantage: The integrated sling bar. Using a crane, the plate compactor can be quickly loaded onto the loading surface of a transporter as well as unloaded off it. Anyone who has ever had to lower a heavier plate compactor into a canal or a trench will appreciate the value of a sling bar. In general, manufacturers aim to design their products as light as possible. But with the manufacturing of plate compactors it’s just the opposite: the heavier the better. More weight implies more power. Well, but try to move this weight once the plate is not in use! Fortunately, this model is equipped with wheels to transport the plate compactor easily. Both wheels are securely attached to the handle grip by a tension spring. These can be as quickly removed as fixed. Just slightly tilt the plate compactor forward to attach or remove the wheels, making it child’s play to transport your plate compactor. The compaction is one of the most challenging tasks on every construction site. 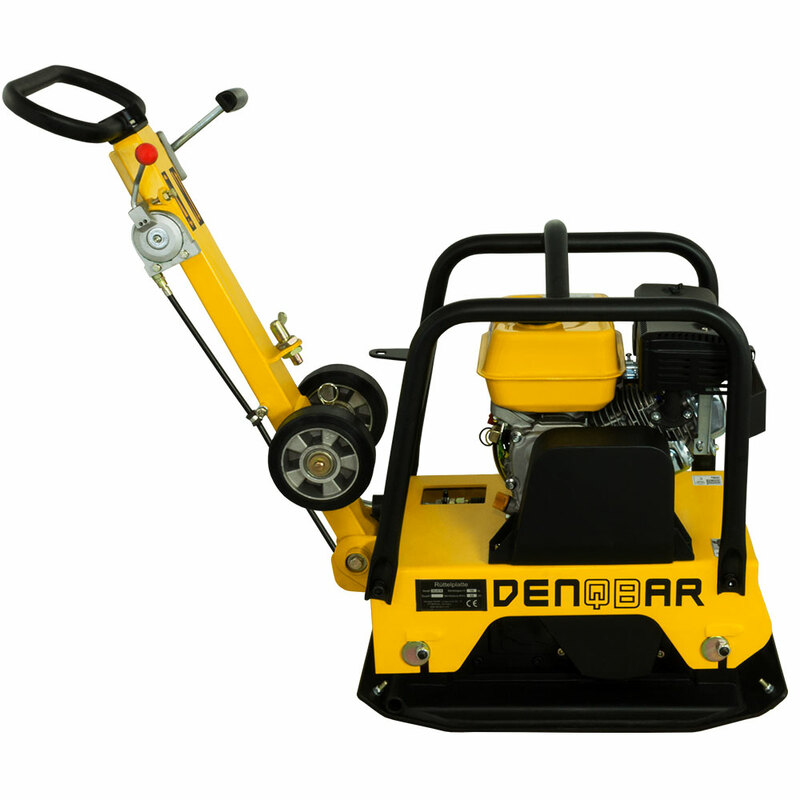 With developing this plate compactor, DENQBAR makes working on a site as comfortable as possible. Especially thanks to an innovative handle grip equipped on our plates compactors, vibration strain are significantly reduces on the arms while guiding the device. Thanks to this innovation, the use of the plate compactor will not cause physical stress any longer. Finally focus on what matters! In order to obtain the TÜV Rheinland "Geprüfte Sicherheit" quality seal, the product needs to be absolutely perfect in terms of safety at work. Your safety is our utmost concern! That's why our plate compactor DQ-0216 has been successfully subjected to the stringent quality test with the certificate No. S 50346570. Reversible plate compactors have both a forward and a backward mode. The advantage for the user is the easy change of direction. 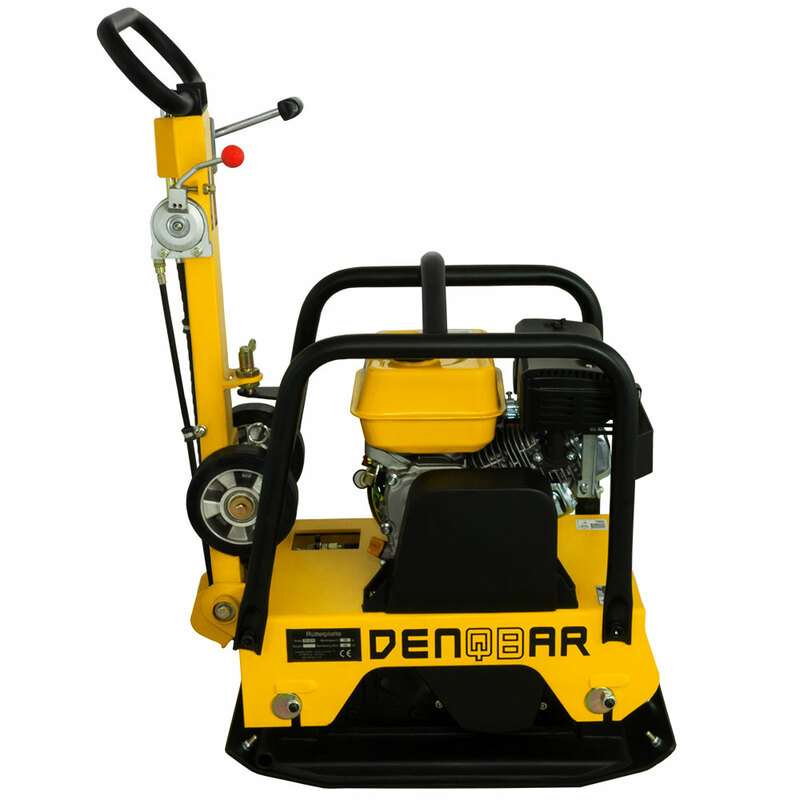 With DENQBAR plate compactors, you just have to flip a lever on the guide handle. Therefore, the operation and driving comfort of a reversible plate compactor are a lot more pleasant. Decisive for this function is the number of exciter shafts. Non-reversible models are equipped with one shaft, while reversible plate compactors already have two exciter shafts installed. Physical, the motor-driven exciter is an unbalanced mass that moves in a circular path. It is mainly responsible for the locomotion and the generated compaction pressure of a plate compactor. When the unbalanced mass passes the uppermost point in the exciter, the upward directed centrifugal forces arise. As these centrifugal forces are much larger than the weight of the machine, the plate compactor jumps up a little bit with each rotation of the unbalanced mass for the fraction of a second. When falling back down, the area below the base plate will be compacted significantly due to the large force potentials (force is the product of mass and acceleration). Moving forward or reverse is due to the interaction of the two exciter shafts. To be more exact, it depends on the current position of the unbalanced masses to each other. This interaction is directly influenced by lever. You can force the exciter shafts in opposite directions, which ultimately ensures the reversibility of the plate compactor. Easy to handle and durable: no compromises anymore! Despite its impressive performance characteristics this agile plate compactor is easy to transport – even with a weight of 135 kg and its centrifugal force of 27 kN. As a reversible plate compactor, the DQ-0216 is able move forward and backward. As a result, the change of direction is pleasantly simple, which considerably increases the ease of use. Furthermore, we have equipped this model with high-performance shock absorbers which not only extend the lifetime of the product but also significantly reduce the power transmission trough the handle grip into the user's arms. Trust our long-time experience! Our plate compactor does not compromise regarding high quality performance, robustness and ease of use at a favorable price. Convince yourself by the benefits of this all-round talent. 300,000 satisfied customers confirm: DENQBAR is the right choice!